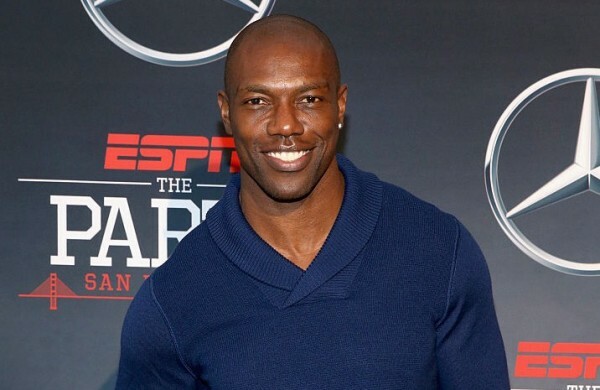 Terrell Owens played in the NFL for 15 seasons from 1996 to 2010. On August 26th, 2012, Owens announced on Twitter he’d been released by the Seahawks. That was the last time a team made a move involving him. Less than three years later in January of 2015, Owens told Sports Illustrated he wasn’t retired and at the time he was still training to play in the league. So now we sit in April of 2016, and Owens is talking once again about a comeback. Although this time, he’s saying it’s because one team in particular doesn’t have a lot of wide receivers. Owens made these statements while appearing on the Rich Eisen Show. The veteran wideout went on to explain that with all the other popular teams in town, the Rams will have competition, and he thinks he could help them win over Los Angeles. Whether Owens can play or not isn’t the only cause for concern when it comes to the Rams maybe even remotely thinking about signing him. Owens has been at the center of controversies over his playing career. While in Philadelphia from 2004 to 2005, the wideout admitted that if he could redo part of his career, he wouldn’t have signed with the Eagles. The wideout later referred to the organization as classless to ESPN, which resulted in him being suspended for the rest of the season. In 2006, Owens reportedly tried to kill himself with an overdose of hydrocodone. Owens eventually denied that it was a suicide attempt. Later that year in a game against the Atlanta Falcons, Atlanta cornerback DeAngelo Hall claimed Owens spat in his face during the game, which he said he did afterwards in an interview with the NFL Network. Owens’ character issues did come up in his interview with Rich Eisen. Whether he’d be a good teammate or not isn’t the question the Rams, or anyone for that matter, may be asking first. Instead, it would most likely be, can this guy still play?